Located across from Golden Gate Park and next to the UCSF Parnassus campus, the Inner Sunset neighborhood, with its epicenter at 9th Avenue and Irving Street, has become one of the Sunset District’s most popular hotspots. This neighborhood – incidentally also the birthplace of Craig’s List, once located in a small office near the corner of 9th Avenue and Judah – offers it all when it comes to dining, shopping, or imbibing your favorite beverage. Here are our picks of the best spots to check out in this happening San Francisco district. Arizmendi Bakery is a worker-owned and run cooperative specializing in delicious pastries, artisan breads, and gourmet pizzas. On the weekends, long lines form early to take advantage of the large variety of scones, muffins, focaccia, specialty breads, and daily specials that are freshly baked every couple of hours. Everything here is tasty, even the gluten-free products, and the bakery is famous for its holiday specialties such as Chinese New Year cookies or Mardi Gras King cake. Limited seating is available inside and outside on the sidewalk parklet. 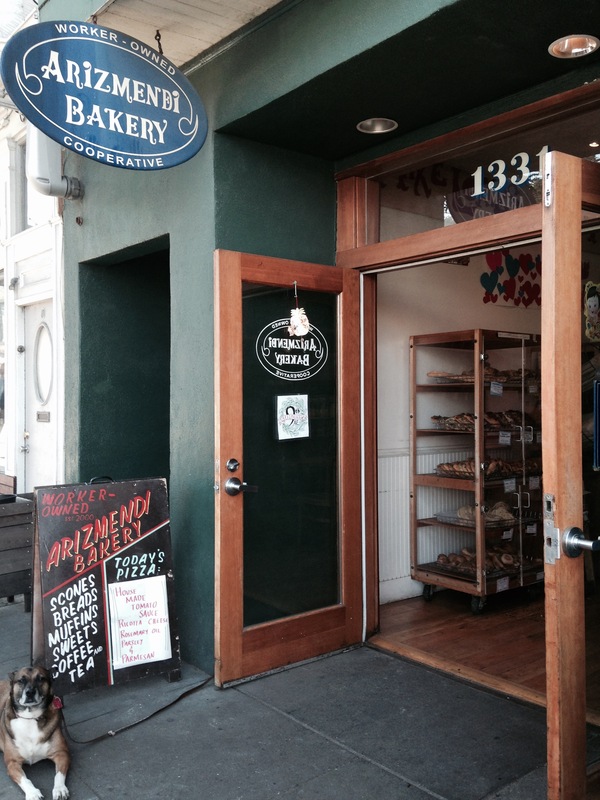 Even if you’re not hungry, it’s worth walking by Arizmendi just to get a whiff of the wonderful smells that constantly fill the air. An offshoot of the famous Green Apple Bookstore on Clement Street, Green Apple Books On The Park is a fun browsing bookstore that not only offers bestsellers and a great selection of books in all subject areas, but also specialty magazines, journals, cards, and gift items. The staff is knowledgeable and friendly, but unlike the original, this location does not buy used books since it’s in a smaller space. There’s a cozy and inviting children’s section in the back, and the bookstore periodically hosts special events like author signings. This is one bookstore you can comfortably get lost in for hours. If you’re in the mood to shop for bargains, stop in at the Inner Sunset location of Crossroads Trading Co., a popular chain of consignment men’s and women’s clothing. You can find designer items at discounted prices, and since the selections are different at every store, shopping at Crossroads is like antiquing – almost everything is one of a kind. You can also sell your clothing here while you shop. Each store buys seasonal items so it’s best to check their website to see what each location is buying before you bring your stuff in. 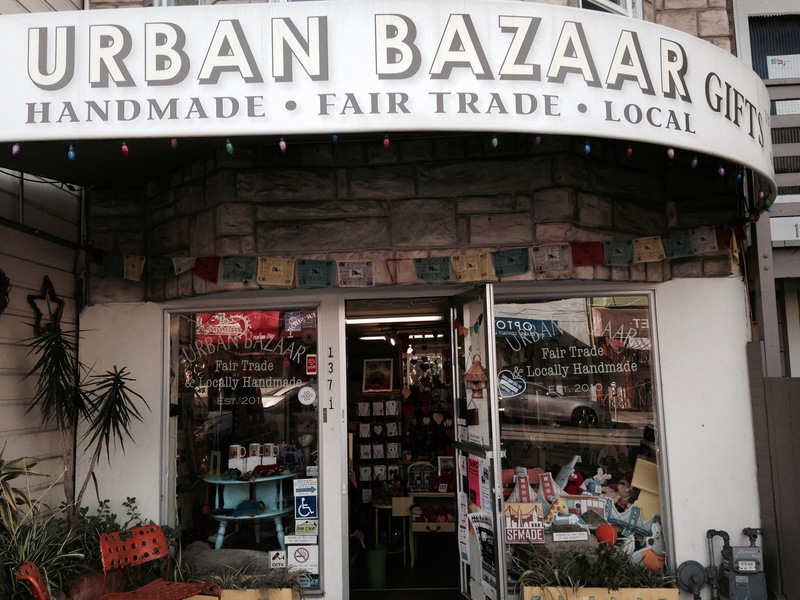 If you need a unique, cool gift and want to feel good about consumerism, shop at Urban Bazaar, which sells fair-trade and handmade local and international gift items. They have a large selection of interesting and unusual gifts ranging from have artwork, cards, baby clothes, SF collectibles, jewelry, and artisan home items. The store also periodically hosts crafting workshops to bring the community together and when the store is open, everyone is invited to grab some coffee and relax in their backyard garden. If you are in the mood for a drink or want to watch sports, Blackthorn is the place to go, especially since their happy hour starts at noon! For entertainment, there are multiple TVs broadcasting all types of sports, two pool tables, arcade games, and the bar hosts weekly trivia contests. Drinks are very reasonable and although there is a limited bar menu, the bar offers to-go menus for local food spots that you can order from and bring to Blackthorn. If you want to get away for a quiet chat or get some air, there’s an open patio in the back. To see some art, stop in to the San Francisco Women Artists (SFWA) Gallery for paintings, photography, ceramics, sculpture, and jewelry created by member artists. Founded in 1887, SFWA is a nonprofit arts organization that supports, promotes, and exhibits the works of talented Bay Area artists. Despite the name, both men and women are invited to join, and the works on display are also available for sale. Since it’s a volunteer-run organization, the person who is selling you a piece may also be the artist who created it! A hole-in-the-wall Chinese restaurant popular for its take-out buffet, Hing Wang does not offer gourmet dim sum, but it is good enough to fulfill a craving. Down the hill from UCSF Parnassus, you can sit in the restaurant and eat, though don’t expect a lot of ambiance. In addition to an assortment of dim sum and bakery items, you can order inexpensive typical Chinese rice combo plates and entrees like broccoli and beef, chow mein, and sweet and sour pork. The ladies who work here are very nice and fill your to-go order to the rim. Loving Hut makes for an interesting change for herbivores, omnivores, and carnivores alike if you are looking for a healthy and nutritious meal. This all-vegan restaurant serves a menu of mostly Asian dishes, offering environmentally-conscious cuisine. The slogan of this spartan vegan restaurant is “Be Vegan, Make Peace” and is based on a movement founded by a Vietnamese spiritual leader whose mission is to provide people with affordable vegan meals. With gluten-free options, Loving Hut has an extensive enough menu so everyone can find something they will like. A place for both beer and wine fans, Inner Fog has the ambiance of an upscale wine bar but is casual enough for a group to relax and enjoy some drinks. They have a fairly large list of craft beers on tap and in cans, enough to satisfy any beer drinker, along with an interesting wine list. The place also offers a small food menu featuring typical vegetarian and meat dishes to pair with your drinks. A great place to relax and enjoy some conversation, make it a point to stop in for their happy hour when selected wines are only $6 and beers are just $3. If you crave pizza, Italian food, or need to carb load, Cybelle’s Front Room Pizza is an Inner Sunset institution that has served generations of locals. With large portions, reasonable prices, and a friendly staff, Cybelle’s is not only family-friendly but also a popular place for local pizza delivery. Specializing in New York-style pizza, Cybelle’s now even offers a thin crust gluten-free pizza. In addition to good food, it’s also a great place to catch a game in their bar area, which is decorated like someone’s comfortable home parlor.